It is the early 1920s and Georges Laffont, traumatised by the horrors of trench warfare, seeks escape in West Africa. However, an incident calls him back to France where he rejoins his mother and brother who has lost the power of speech, immured as he is in his memories of the front. 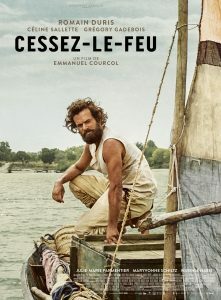 Georges has his own difficulties in returning to normal life and his encounter with Hélène will help him gradually to rebuild his life.